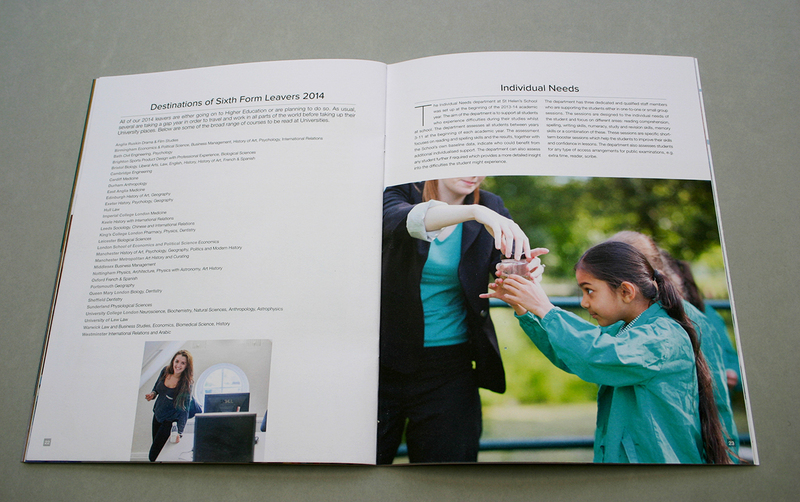 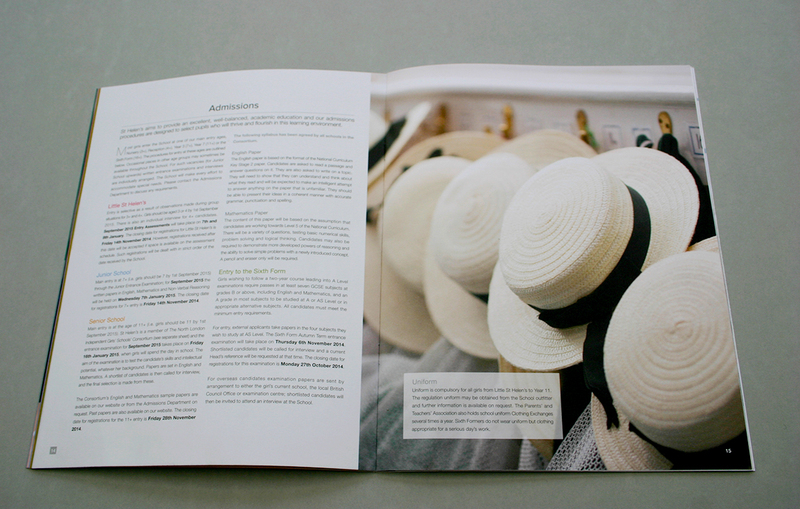 This brochure was designed with the Into the Sixth Form brochure, with the purpose of establishing a new style for print publications for St Helen's, Northwood. 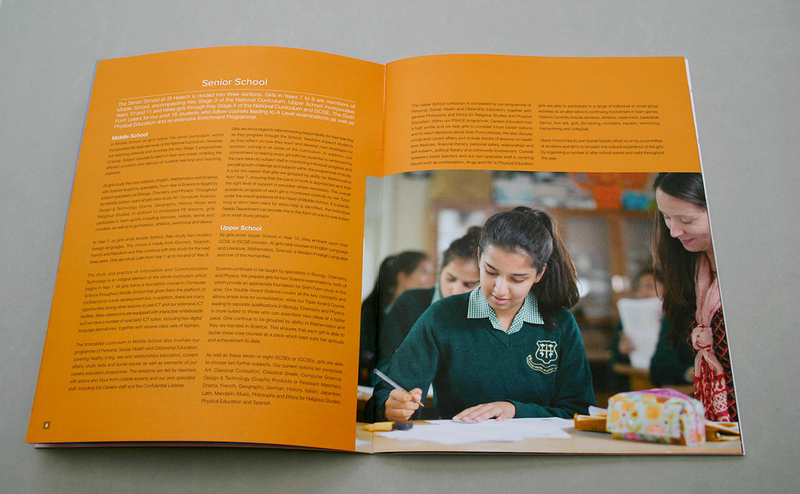 The School had a new logo so we were commissioned to redesign their core print materials which would lead the way for other publications. 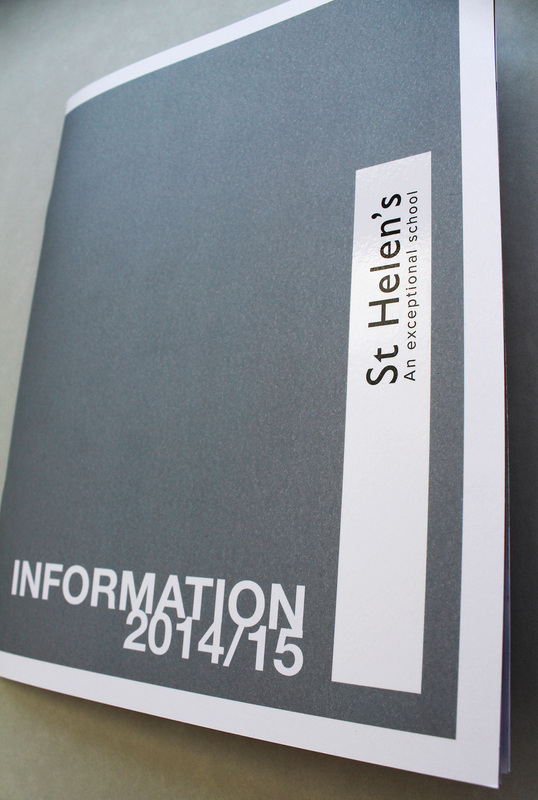 We worked with the Head of Marketing and Headmistress on this brief. 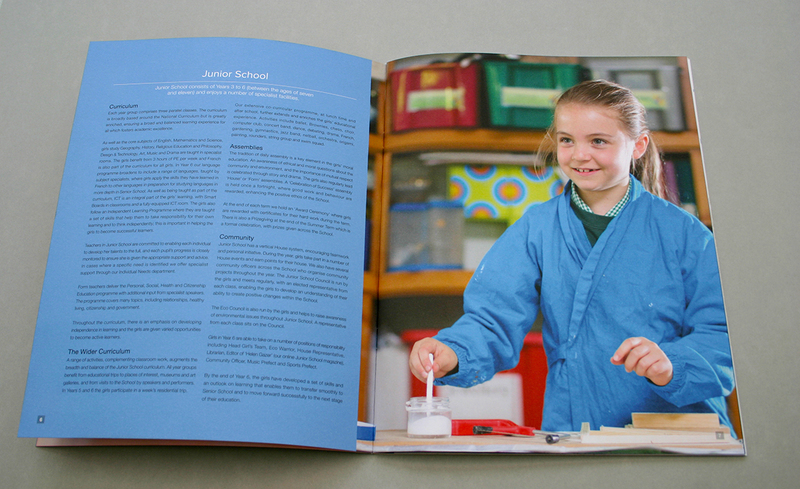 The project included integrating the school's new colour palette, a different colour for each section of the school. 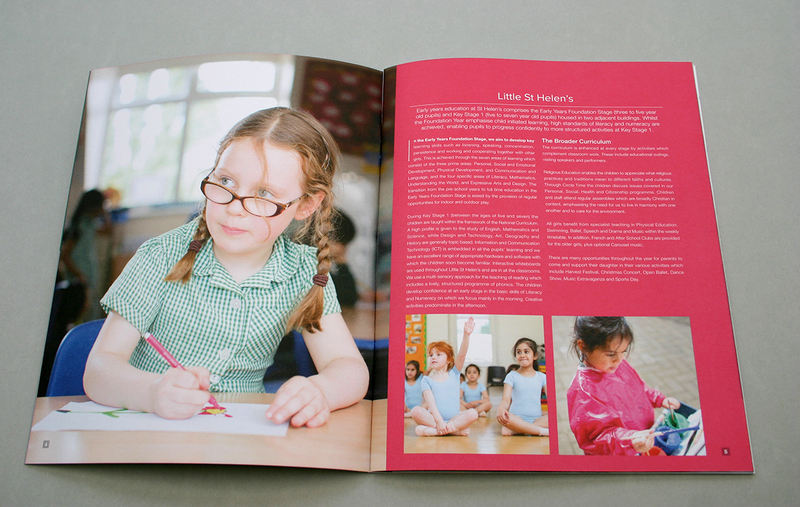 Images were processed to highlight these colours, so the pink pen and pink painting overalls for the Little St Helen's spread; the blue overalls for the Junior School; the orange details on the pencil case for the Senior School; and the green folder for the Sixth From spread. 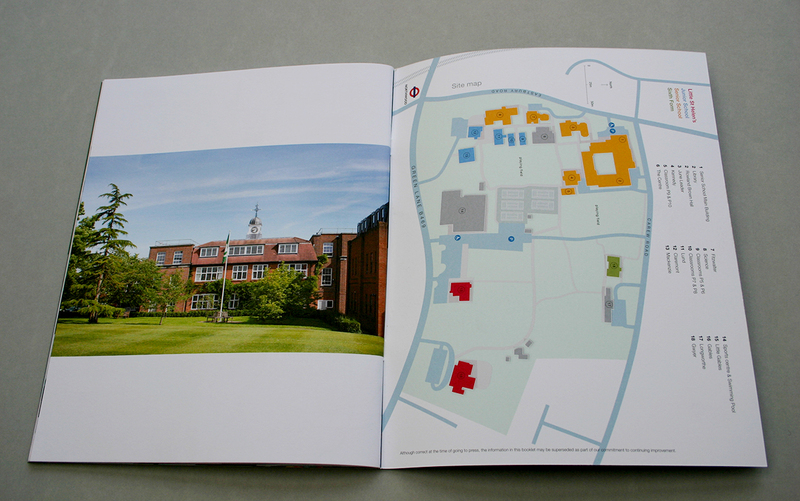 The brochure required maps and plans of the school and its location which we drew and designed to work with the new layout and look and feel. 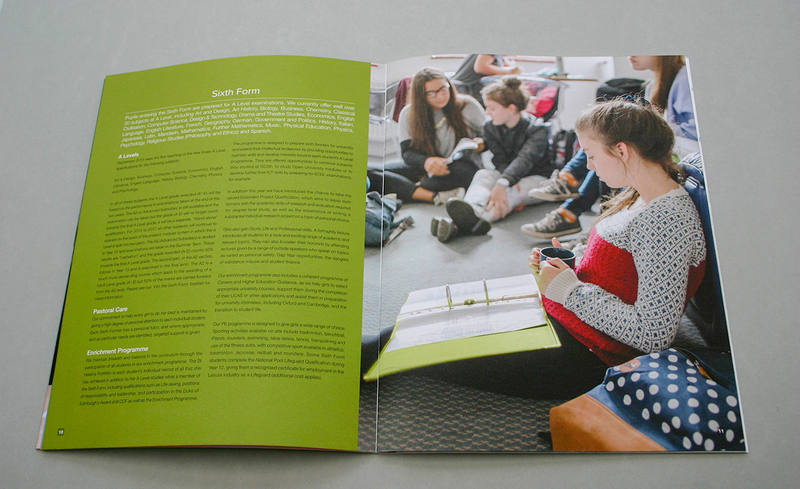 The design of the layout, so use of fonts, two columns, intro decks, drop caps and other features, will be used and developed for other publications over the coming year. 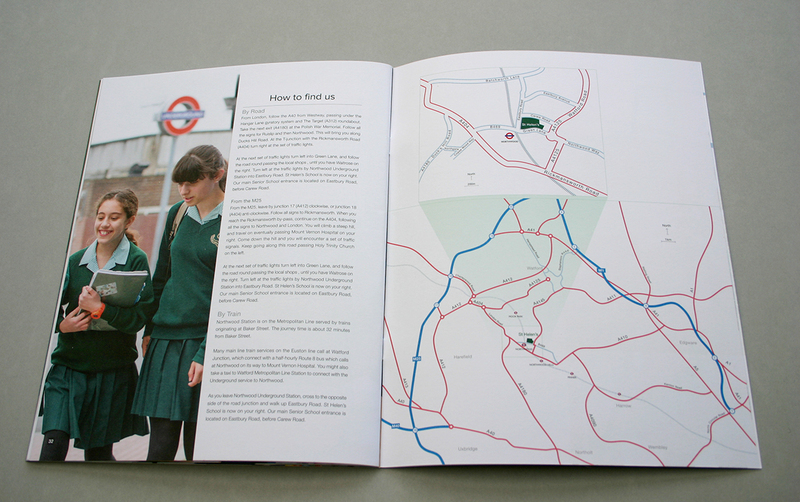 We also defined and managed the print: uncoated stock, a matt laminate cover and spot uv varnish for the mark.